Pitching stories to journalists is a lot like asking someone to dance : If you approach things with confidence and don’t come on too strong, you might just get to strut your stuff. Walk up stuttering your words, delivering some cheesy, transparent line, or laying it on thick like molasses, and the chances are, you’ll be spending a lot of time by yourself at the bar. Of course, at the end of the day, you still have to be able to dance. But if you don’t know how to ask right, you’ll never even get the opportunity. That`s enough metaphor for now… The point is, you’ve got big news you want to share with the world. And in this article, we’re going to breakdown, step by step, how to convince a journalist to pay attention long enough to decide if they want to share it with their audience. The subject line, like your general appearance on the dancefloor, is your first and potentially last impression. Sometimes–most of the time, even–a journalist won’t make it past the subject. That’s unfortunate, but writing something a little too good to be true to attract attention will actually work against you. Be precise and inviting. Simple and well-put together beats an elaborate, spammy-looking subject with lots of errant capitalizations and run-on phrases. 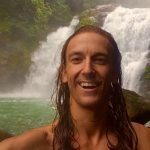 Let’s say Matt Wilson and Under30Experiences are announcing a new travel project in Colombia, South America and want to pitch an exclusive (for more on that, see How to Get on Tech Crunch Part 2). The subject line should say exactly that. Don’t be vague, but don’t get bogged down in details, either. Don’t be pushy, but don’t just stop by to check in. 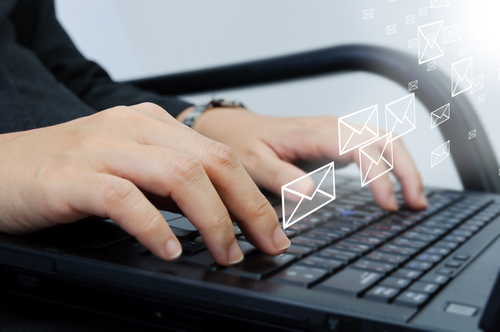 In one, short phrase, what is it you want to accomplish with your email? Notice that the subject actually overlaps with the start of the email. If you’re only going to get one impression, you might as well not dawdle. A lot of beginning entrepreneurs stress about every little detail when approaching journalists. On the whole, this is a good thing, because it means you’ll be precise and that your email will come out free of errors. But when deciding on a basic greeting line becomes a drawn-out process unto itself, you’re probably taking things too far. In pitch emails, casual is professional. “To whom it may concern” is still good policy for job applications and the like, but for our purposes, it sounds about as stuffy as, “Good evening, madam. Would you be so kind as to accompany me for this next dance?” A simple “Hi” or “Hey” will suffice. If you’re emailing a specific person, using their first name is fine, even if you don’t know them personally. If you’re sending your pitch to a generic tipline, you can use “team” or “all” or anything along those lines. It seems simple and unremarkable, and it is, but only someone who’s never got coverage before would start breaking out all the stops from the get-go. If you’re walking up to a stranger, or even saying high to an old friend, what’s the first thing you do? Maybe you care. Maybe you don’t. Maybe they don’t either. But it’s polite and comforting, and an email pitch should be, too. That doesn’t mean you should get wordy, or go too far in the way of small talk. Your goal is to set the tone for a good relationship going forward, so that even if this pitch doesn’t get picked up, they’ll be inclined to look on the next one favorably. The first line is the best place to establish that you have a reason for contacting that person specifically, which, if you’re going about your PR outreach intelligently, you should. Throwing that reason out at the top also serves the secondary purpose of making that brief little nicety seem a lot more personal. News is, first and foremost, a fast-paced business. Time-sensitive is the only kind of time a journalist understands. So the first thing you’ll want to explain in your pitch is what kind of timeframe you’re working with. Bringing this up early on is the best courtesy you can offer a journalist, because if it doesn’t fit with their schedule, they’ll pass right off the bat, and won’t have to get to the bottom of the email, only to realize the article can’t work with their schedule. With that in mind, be prepared to do what’s needed to make it work with their schedule. Reporters really like exclusives because they know they are going to be the only ones with the story, giving them unique content and a head start. They like exclusives they can plan ahead for even more. If you’ve managed to keep a reporter’s attention through what should now be four grueling lines of text, including a two-word greeting and email subject line, then they’re interested in what you have to say. In other words, they want to dance, all you have to do is not ruin it by babbling on uselessly. Convey, in three or four bullet points, what the content of your announcement is. Again, knowing what is and isn’t important is its own craft. So for now, let’s just say it’s best to stick to the basics: the who, what, and why. What’s happening that their audience needs to know about? So you’ve got your dance partner, now all you have to do is make it to the dancefloor without tripping over yourself. Thank the journalist for taking the time to hear you out. If you’ve got a press release, now would be the time to mention it. Throw out the possibility of interviews with satisfied customers or any other bonus material that makes their job as journalist easier and your story, as someone seeking coverage, more compelling. Don’t try anything particularly fancy, just tie up any loose ends. You’ve already given them an invitation not to respond, but that’s not the note you want to leave things on. If what you want is an email back, ask for it. Just be polite when you do. At the very end, a well formatted and link-rich signature block is useful for journalists to quickly check your credentials and get in contact with you later. So now you have all the elements that are going to make successful pitch. We started with the strong subject line which draws the eye away from everything else in the inbox. Then, built on the substance of the story, given the journalist enough material to make a decision on the story… and then we get out of the way. Here`s the complete pitch below. Hope all is well. I enjoyed your last piece on mobile travel apps and thought you might be interested in an exclusive on my new venture in Colombia. I know you’re busy though, so if you’re not, don’t worry about responding. We were hoping to announce the project next week, but would be willing to push things back if you decide to cover the story. Thanks for taking the time to read over the pitch. I’ve attached a press release below if you want to learn more, or feel free to call me at your convenience. I’d be happy to send over other material or set up additional interviews with former clients and/or company officials. Andrew Wight is part of the Publicize team, a company looking to change the way startups approach PR. Connect with us on Twitter.